Police investigate a shooting scene after a gunman opened fire on Republican members of Congress during a baseball practice near Washington in Alexandria, Virginia, June 14, 2017. House Majority Whip Steve Scalise speaks to reporters at the U.S. Capitol, hours before an expected vote to repeal Obamacare in Washington, D.C., May 4, 2017. 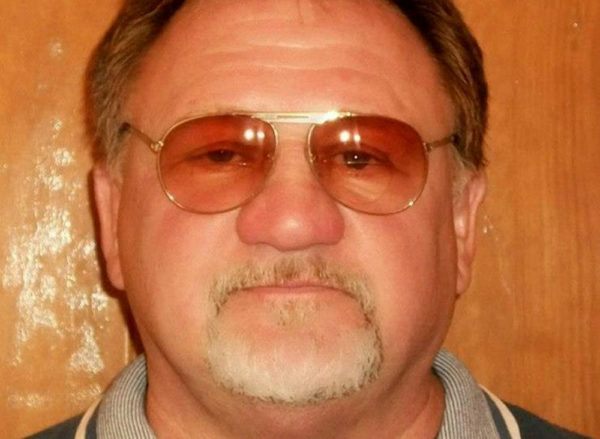 James Hodgkinson, 66, of Belleville, Illinois, is seen in this undated photo posted on his social media account. A man unleashed a barrage of gunfire Wednesday at a park in Alexandria, Virginia, as Republican members of Congress held a morning baseball practice, wounding five people, including House Majority Whip Steve Scalise, Louisiana. President Donald Trump said the gunman — identified by multiple law enforcement officials as James T. Hodgkinson III, 66, from Illinois — died after a shootout with police, two of whom were wounded in the gun battle. Trump said he spoke with Scalise’s wife and offered his full support to the congressman’s family. He called Scalise a friend, patriot and fighter, and thanked the first responders who aided those on the field that morning. The incident unfolded shortly after 7 a.m. during the final practice before Thursday night’s scheduled charity game between Republicans and Democrats at Nationals Park. 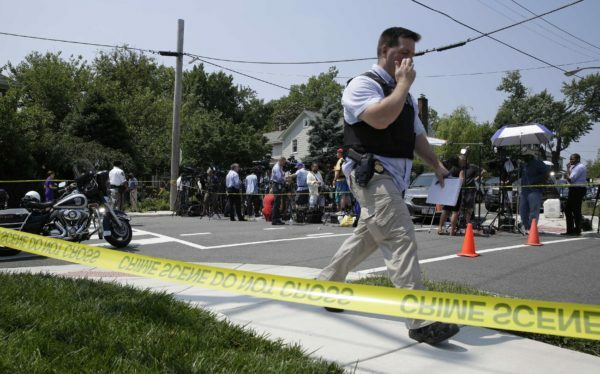 Players and bystanders described a horrific and prolonged attack in which wounded police officers returned fire, and Scalise, felled by a bullet to his hip, crawled across the field to get out of harm’s way. Scalise’s office said the congressman underwent surgery at MedStar Washington Hospital Center, in the District. Zach Barth, a legislative correspondent for U.S. Rep. Roger Williams, R-Texas, was shot but is expected to make a full recovery. Capitol Police Chief Matthew Verderosa said his two wounded officers are in good condition and do not have life-threatening injuries. House Speaker Paul Ryan, R-Wisconsin, identified the officers as special agents David Bailey and Crystal Griner. But Hodgkinson’s political statements were immediately examined as a possible motive. Sanders, who represents Vermont in the U.S. Senate as an independent, said Hodgkinson volunteered on his presidential campaign and denounced the shooter’s actions. “I am sickened by this despicable act,” he said in a statement delivered on the Senate floor. 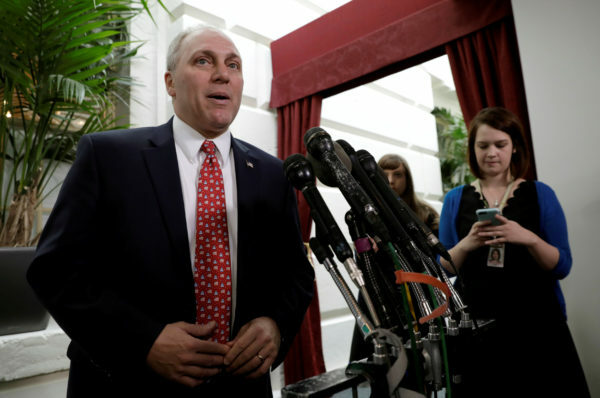 Scalise’s office, in a statement, said the congressman was out of surgery by 10:30 a.m. The statement said the whip, before surgery, was in good spirits and speaking to his wife, Jennifer, by phone. “He is grateful for the brave actions of U.S. Capitol Police, first responders, and colleagues,” the statement said. Scalise, 51, who has been in Congress since 2008, represents a district that includes some New Orleans suburbs and bayou parishes. Before entering Congress, he was a lawmaker in Louisiana for eight years. Scalise and his wife have two children and live in Jefferson, Louisiana. Scalise is the third-highest-ranking House Republican, and he has a round-the-clock Capitol Police detail. The shooting occurred at Eugene Simpson Stadium Park, on East Monroe Avenue. The popular park — which includes the baseball diamond, soccer fields and a dog park, is in the Del Ray neighborhood, near the Potomac Yard shopping center on Route 1 and Old Town Alexandria, adjacent to a YMCA and across the street from a CVS and an Aldi grocery store. U.S. Rep. Joe Barton, R-Texas, the manager of the GOP baseball team, said there were “dozens, if not hundreds, of shots fired.” Members of the team and onlookers took cover in dugouts, got down on the ground or beneath a sport-utility vehicle. In addition to shooting at Scalise, the team’s second baseman, the shooter fired at U.S. Rep. Trent Kelly, R-Mississippi, the third baseman. Barton described the suspect as a middle-aged man wearing blue jeans and a blue shirt. U.S. Rep. Mo Brooks, R-Alabama, saw the shooter and described the scene as “bedlam.” In an interview, Brooks said he heard two or three shots before he realized the danger. He was stepping up to home plate with a bat in his hand. Then he heard a scream from Scalise, whom he saw fall to the ground. Brooks said he ran behind the batting cage and watched Scalise drag himself toward the outfield. Brooks lay down in the dirt behind the batting cage with two or three others, but then realized that if the shooter moved, “he’d have a clear shot.” So he ran to the first-base dugout and dove into it. About a dozen people were there, including one of his staff members who had been shot in the leg. Brooks said he took off his belt and applied a tourniquet. Then he saw a man with a gun appear above him and feared it was a second shooter. Instead, it was a Capitol Police officer shooting back. He and another officer moved toward the shooter, who ran toward home plate and was shot down. “They were both wounded,” he said. U.S. Sen. Jeff Flake, R-Arizona, told reporters that Scalise was awake after the shooting. “He was coherent the whole time,” Flake said. He added that a female member of the Capitol Police security detail was airlifted out and that a staff member was taken by ambulance to a hospital. Flake said that it took almost 10 minutes to stop the shooter. Eventually, when the Capitol Police secured the area, Flake grabbed Scalise’s phone and called his wife to tell her what happened. Flake said that at one point, “I looked up … and saw the gunman. He had come around the back, near home plate, and had a clear line of sight into the dugout, and so we had to get down again.” He said Scalise dragged himself off the field, leaving a trail of blood. The congressman also said a second officer was shot, a member of the Capitol Police force. “I saw her afterward, and saw her being taken to the helicopter,” Flake said. Fillus said a police officer pulled out a gun and tried to shoot back. She was screaming, “‘Drop your weapon!’ And he shot her, and she fell on the ground. “We heard people yelling to get down. We saw people running, some into the dog park, some jumping over the fence,” she said. She said the people in the dog park immediately got down on the ground and pushed their dogs down, as well. She said there was a burst of shots, then a brief pause, then more shots — she estimated about 20. “It must have been a semiautomatic,” she said. “Bullet holes in the glass and people were shaking,” Halloran, a former congressional staff member, said in a telephone interview from inside the facility. Bullets went through the YMCA’s building and into the pool. U.S. Rep. Steve King, R-Iowa, in a suit and tie, stopped by the crime scene to pray, and was viscerally angry about his colleagues being attacked. “America has been divided,” he said, “and the center of America is disappearing, and the violence is appearing in the streets, and it’s coming from the left.” King indicated that it was impossible to separate the hyperpartisan climate in Washington –— especially people protesting Trump –— and Republican members of Congress being gunned down at a baseball practice. Speaker Ryan was at the gym on Capitol Hill when he was informed of the shooting, said two GOP lawmakers who saw him there. They said he immediately stopped his workout and headed out, guided by his Capitol Police detail, which is always with him. The lawmakers spoke on the condition of anonymity to discuss the speaker’s movements. As Ryan left – and Capitol Police briefly told members about the shooting – the gym quickly quieted and members packed up their belongings and headed to their offices, the lawmakers said. Washington Post writers Victoria St. Martin, John Wagner, Michael Miller, Patricia Sullivan, Ed O’Keefe, Ann E. Marimow, Peter Jamison, Joe Heim, Justin Jouvenal, Lynh Bui, Clarence Williams, Devlin Barrett, Robert Costa, Matt Zapotosky and Rachel Weiner contributed to this report.